Mickey Mouse 2-Slice Toaster Just $10.61! Down From $25! PLUS FREE Shipping! 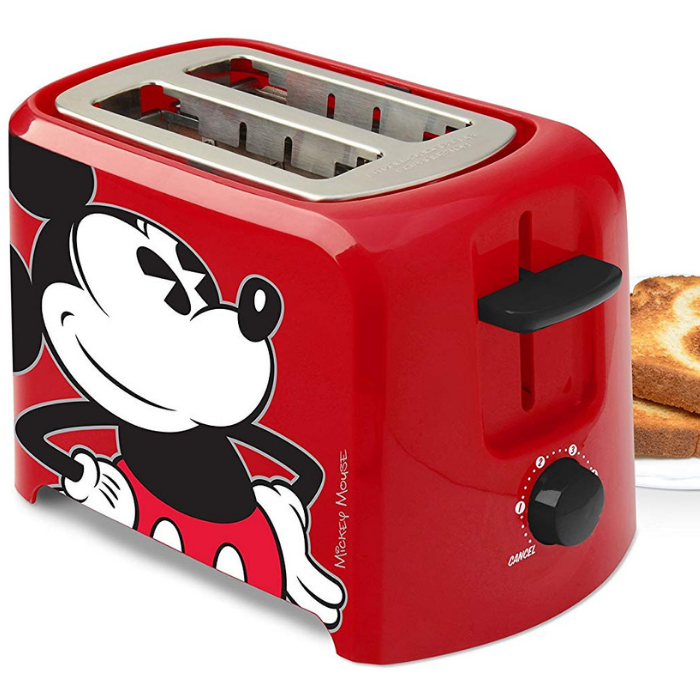 Hurry over to Amazon where you can score this Mickey Mouse 2-Slice Toaster for only $10.61 down from $24.99 PLUS FREE shipping! Dash Clear View Toaster Just $33.99! Down From $70! PLUS FREE Shipping! Amazon is currently offering this Dash Clear View Toaster for just $33.99 down from $69.95 PLUS FREE shipping! Imagine perfect toast, every time. With 7 browning levels, the Dash Clear View Toaster takes the guesswork out of toasting. Don’t take our word for it – see with your own eyes via the glass window. The toaster features one-touch buttons for defrosting, bagels and re-heating as well as an auto-shut off function for safety. With an extra long slot, you can toast a wide variety of breads and baked goods. Unprocess your food with the recipe book that is included with purchase, and gain access to our database of thousands of recipes for free. 2 Slice Toaster For Just $21.99! Down From $60! Don’t miss this deal from Amazon! Score the Gourmia MotoToast 2 Slice Toaster for just $21.99 down from $59.99 PLUS FREE shipping with Amazon Prime for orders $25 or more! 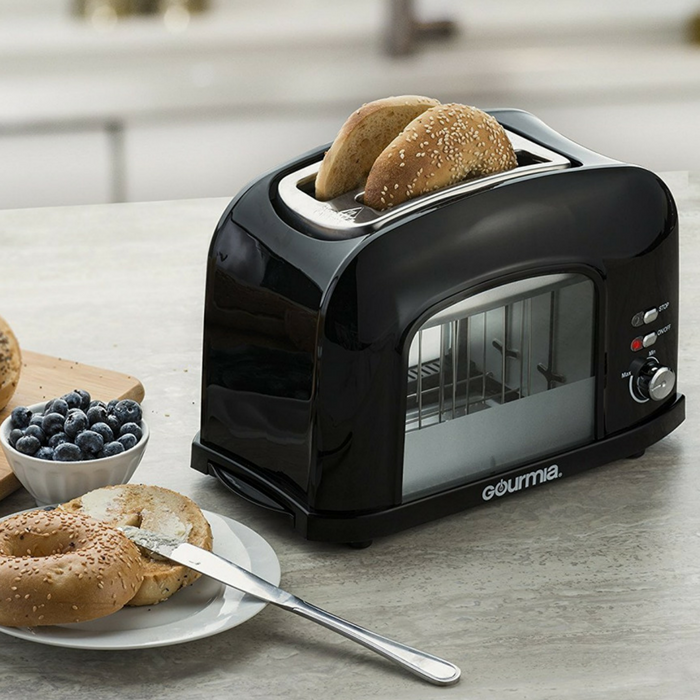 With the Gourmia MotoToast 2 Slice Toaster, you can watch your toast while it heats up and adjusts the temperature if needed. 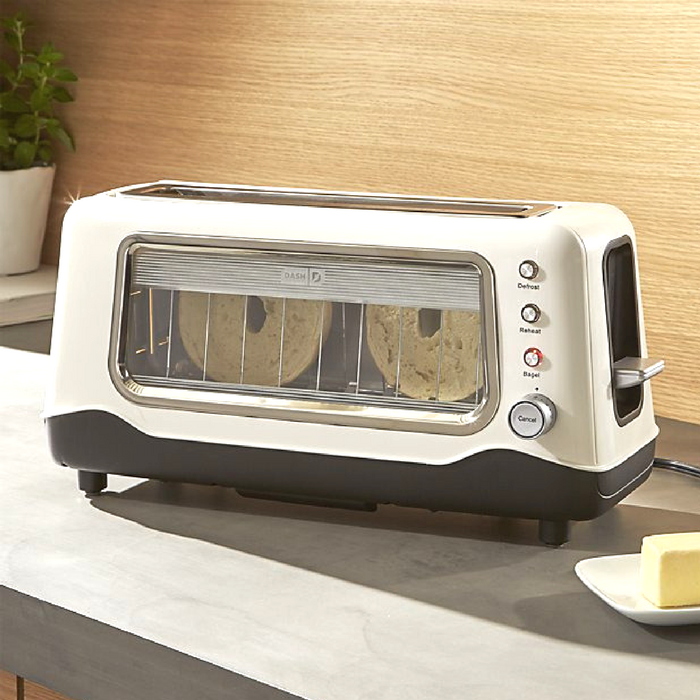 The see-through window allows you to monitor your toast as its browning so you can remove it at just the right moment for perfectly cooked slices every time. Achieve the perfect shade of golden brown toast with adjustable temperature controls that let you dial up or scale back the heat to suit your taste. No more burnt breakfasts and getting your day off to a late start. Now, you can mindfully heat your toast — the way you want it. Fully Motorized: No more clumsy levers! The dual wide slots automatically lower and raise your toast with the push of a button. Adjustable Temperature Controls: Go fluffy and golden or crunchy and dark with the adjustable temperature browning knob. Achieve the perfect shade of golden brown toast with adjustable temperature controls that let you dial up or scale back the heat to suit your taste. Transparent Window: Monitor the toasting through the convenient transparent window panels. It allows you to monitor your toast as its browning so you can remove it at just the right moment for perfectly cooked slices every time. Removable Crumb Tray: Removable tray collects crumbs and slides out for breezy cleaning.